This reproducible resource is filled with fun and interesting crossword puzzles that center around a specific composer. They are actually puzzles within puzzles. First, your students can read intriguing facts about a "mystery composer." Then, start solving the crossword puzzle (all clues are music-related, of course). This book comes with full rights to reproduce pages for your students. And, of course, if you purchase the downloadable or CONVENIENCE COMBO KIT version of the book, you can print directly from the PDFs or project them for your class. 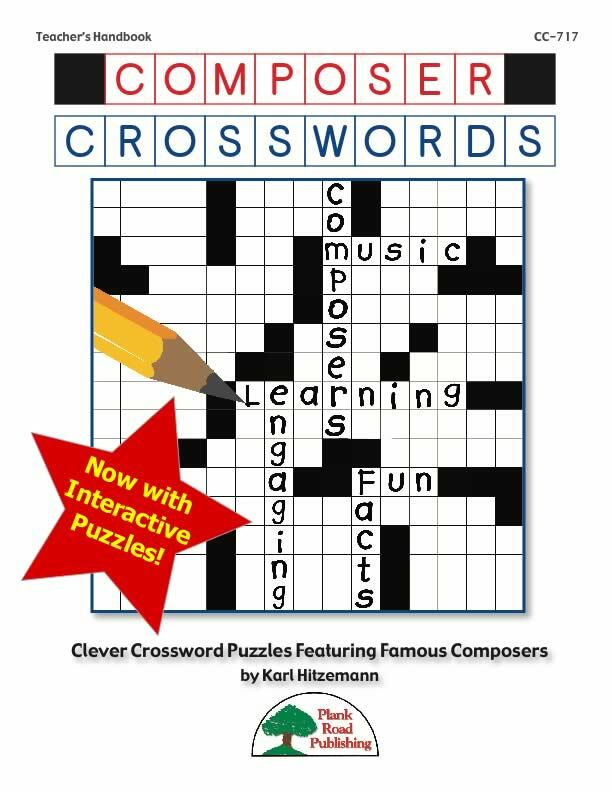 Clever, educational, reproducible, and fun for all, Composer Crosswords is a must for your music classroom!